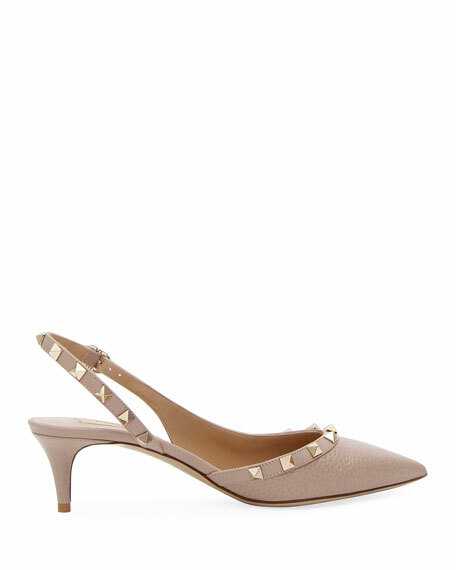 Valentino pebbled leather pump with signature Rockstud trim. Christian Louboutin patent leather pump. 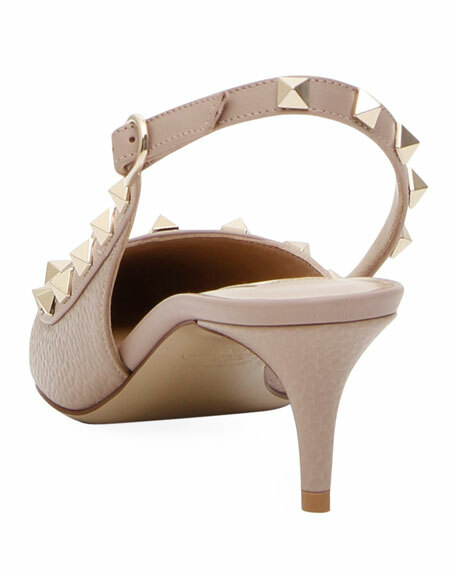 Peep toe sits atop 1 1/4" platform. 6" covered heel; 4 1/2" equiv. Low dipped vamp visually elongates legs. Leather lining and footbed. Signature red leather outsole. "Lady Peep" is made in Italy.